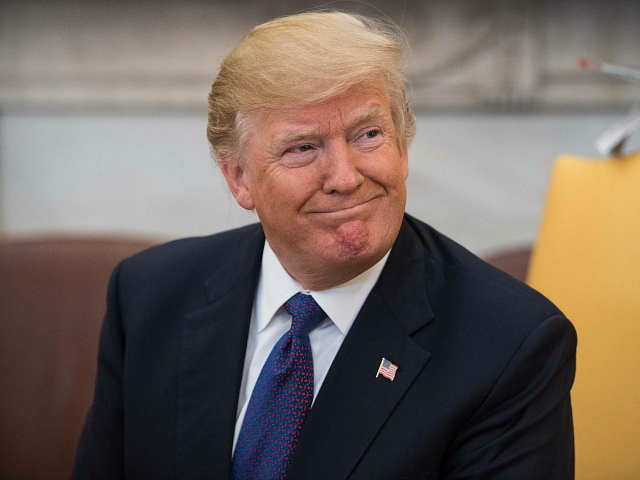 President Donald Trump defended his assertion that the results of the midterm elections were a “big victory” for Republicans. “To any of the pundits or talking heads that do not give us proper credit for this great Midterm Election, just remember two words – FAKE NEWS!” he wrote on Twitter. Despite losing Republican House seats, Trump said that his allies did very well overall. Republicans added to their majority in the Senate with two races still too close to call on Wednesday. Establishment media focused on Democrats taking the House of Representatives, warning that they would make Trump’s life a “living hell” through investigations of the president. Trump fired a warning to any Democrats considering the proposal. Trump noted that Republicans stopped the so-called “blue wave” of Democrats seeking to change direction for the country, despite biased media coverage. “Yesterday was such a very Big Win, and all under the pressure of a Nasty and Hostile Media!” he wrote. The president appeared eager to get back to work on important trade deals with foreign countries. “Now we can all get back to work and get things done!” he wrote. The president will hold a press conference at the White House on Wednesday morning to further discuss how the country goes forward.